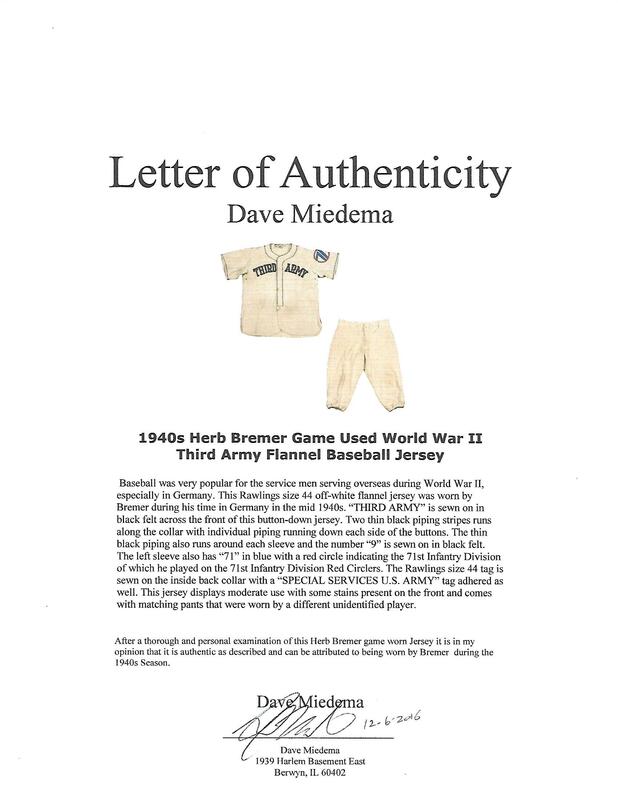 Herb Bremer was a backup catcher for the St. Louis Cardinals for three seasons (1937-1939). 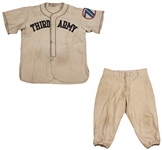 After spending the next two seasons in the Southern Association with New Orleans and Little Rock, Bremer was looking to get back to the Majors after being drafted by the Boston Red Sox in November of 1942. 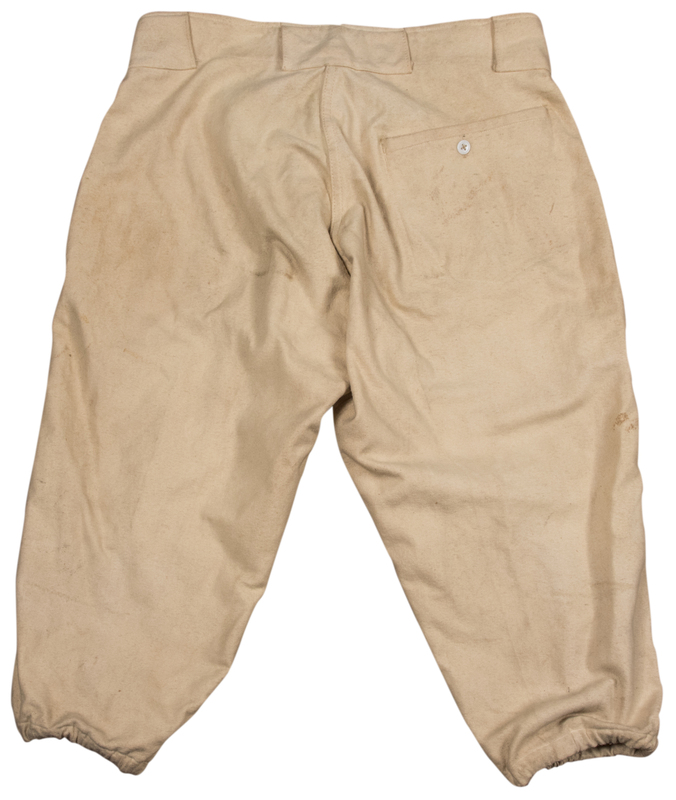 However, he was drafted by the Army in July of 1943 and eventually served in the Third Army in Germany. Baseball was very popular for the service men serving overseas during World War II, especially in Germany. 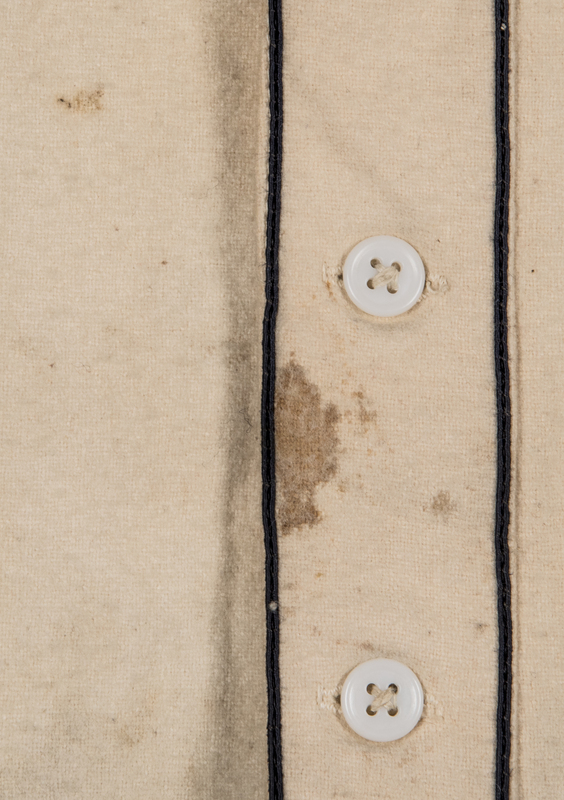 This Rawlings size 44 off-white flannel jersey was worn by Bremer during his time in Germany in the mid 1940s. 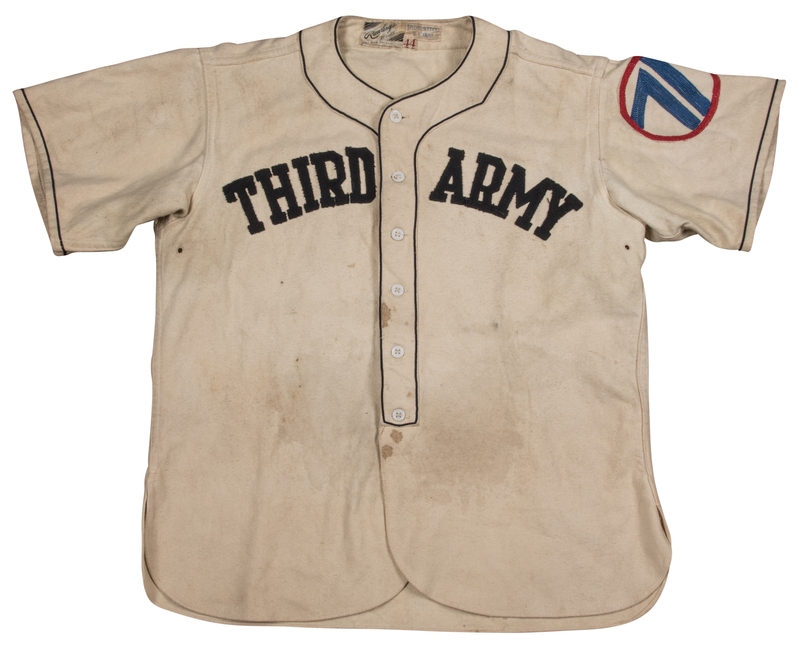 “THIRD ARMY” is sewn on in black felt across the front of this button-down jersey. 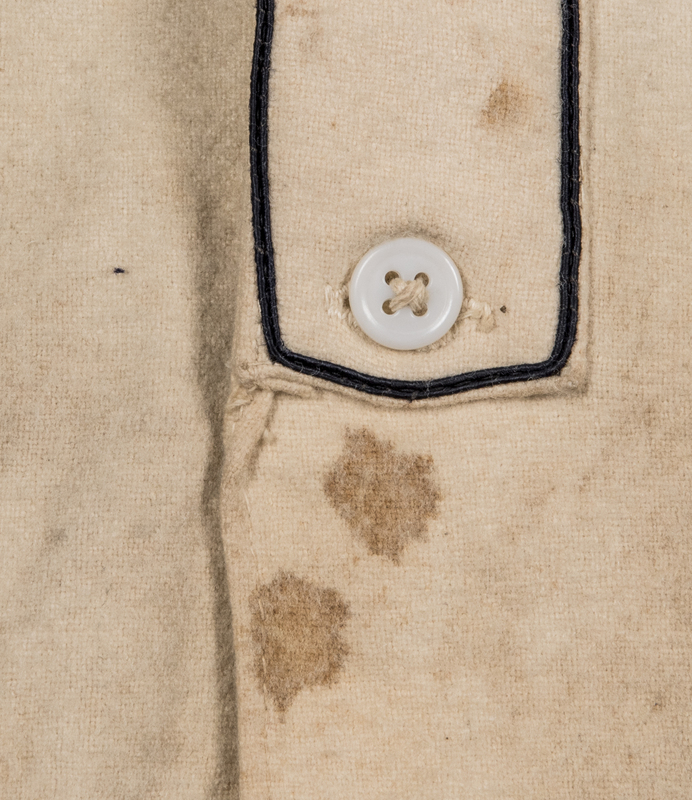 Two thin black piping stripes runs along the collar with individual piping running down each side of the buttons. 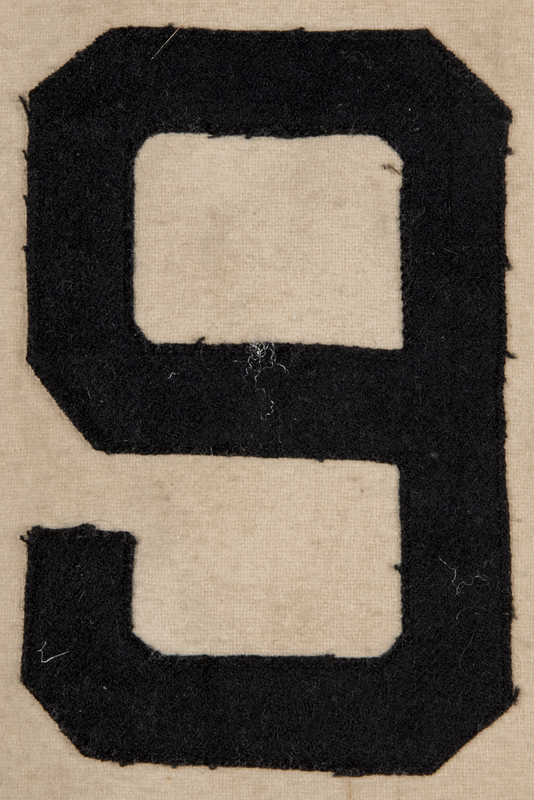 The thin black piping also runs around each sleeve and the number “9” is sewn on in black felt. 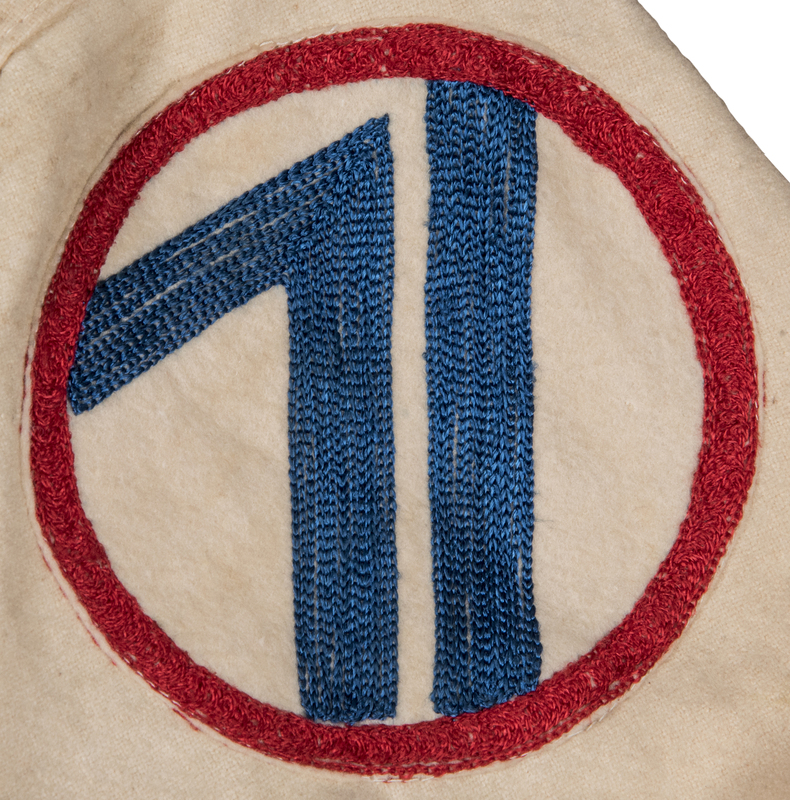 The left sleeve also has “71” in blue with a red circle indicating the 71st Infantry Division of which he played on the 71st Infantry Division Red Circlers. The Rawlings size 44 tag is sewn on the inside back collar with a “SPECIAL SERVICES U.S. ARMY” tag adhered as well. 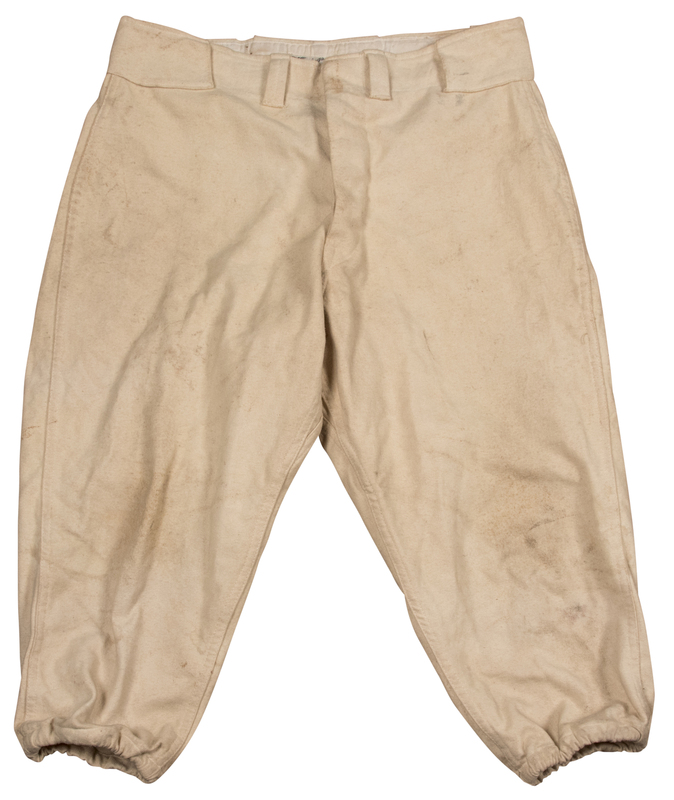 This jersey displays moderate use with some stains present on the front and comes with matching pants that were worn by a different unidentified player. 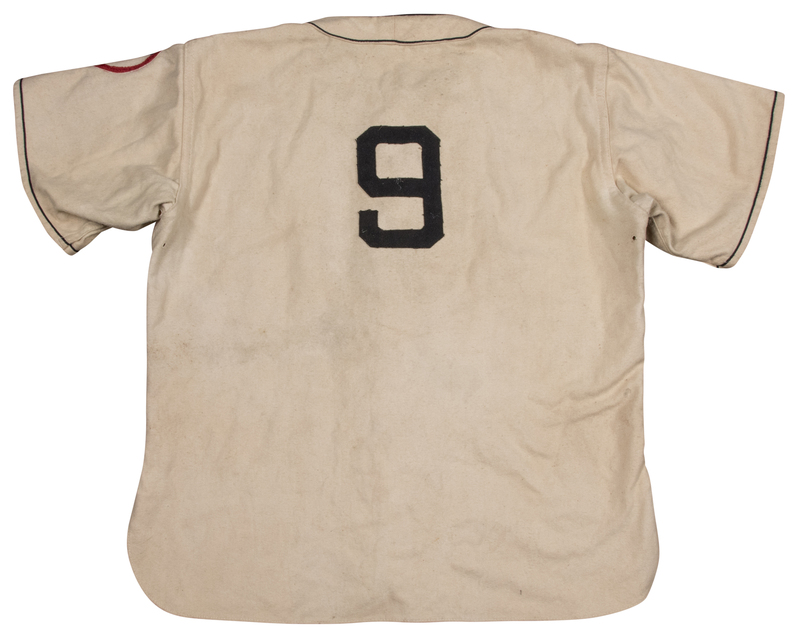 This classic jersey comes with a full LOA from noted game used jersey expert Dave Miedema.